Two officers suspended for shooting an unarmed man have been reinstated. Pc Kevin Fagan and Inspector Neil Sharman were taken off duty last month after an inquest jury said Harry Stanley, 46, was unlawfully killed. But after a review of procedures for suspending officers, Ian Blair, Deputy Commissioner, said the pair can return to "non-operational" duties. The family of Mr Stanley, who was shot in Hackney, east London, said they were "deeply anguished" by the decision. The suspensions sparked an unofficial 'strike' by officers in the Met's SO19 firearms unit in November. A Scotland Yard spokesman said an agreement had been made to review their suspensions each month. He added: "Sir Ian Blair has today completed the first such review and has concluded that the formal suspension of the officers should be lifted, but that they should be removed from operational duties." It means neither officer will be involved in training, have contact with members of the public through the course of their work or be involved in the "evidential chain of a criminal case". The spokesman said that from now on, suspensions would only be used when the commissioner has "grounds to believe that the behaviour of an officer meant they would be have to leave the force". 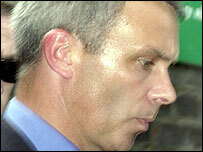 Sir Ian said: "The review of the cases of Ch Insp Sharman and PC Fagan has been carried out as agreed but now in light of this change of policy I have accepted the recommendation that the conduct of both officers now comes within the category of removal from operational duty rather than legal suspension." Mr Stanley, originally from Belshill, near Glasgow, was walking home from a pub in 1999 carrying a broken table leg in a carrier bag when he was shot dead. Mr Fagan and Mr Sharman had mistaken the table leg for a shotgun. 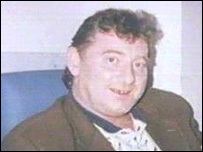 An inquest in June 2002 recorded an open verdict but a second inquest, held after an appeal by Mr Stanley's family, found he had been unlawfully killed. A spokesman for campaign group Inquest, which has supported the Stanley family, said: "It is appalling that the Metropolitan Police service, in reinstating these officers, is pre-empting the decision-making process of the Crown Prosecution Service. "Yet again the message being sent out is that the rule of law does not apply to police officers. "This is a decision that has caused deep anguish and distress to the family."